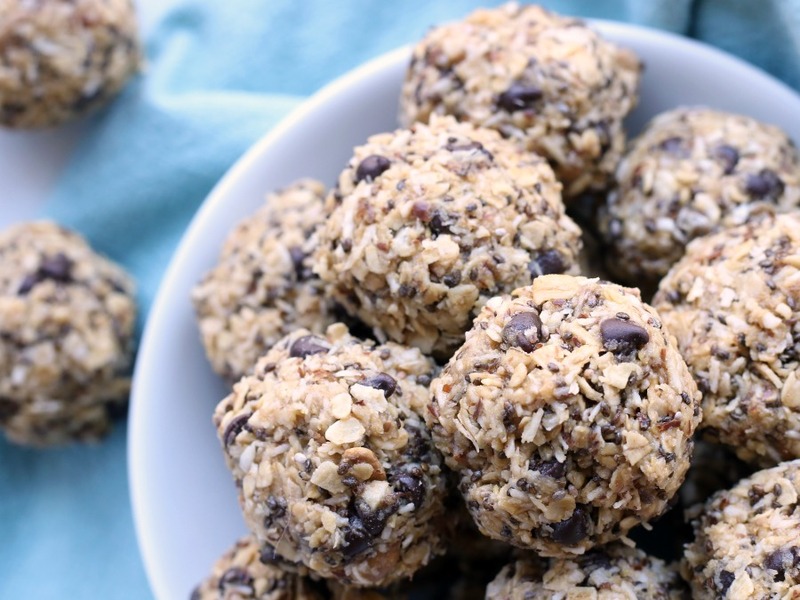 No Bake Energy Bites — easy to make, full of protein, and perfect for breakfast, snacking, or even dessert! 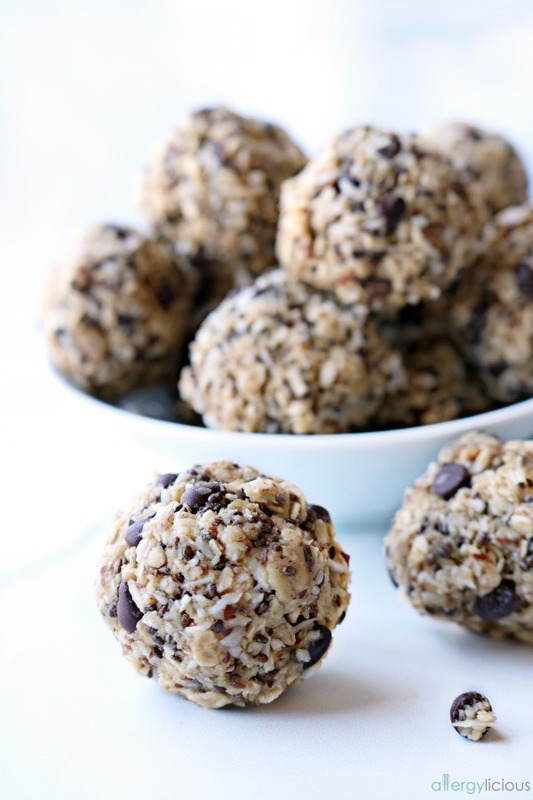 You’ll love these Allergy-free & Vegan No Bake Bites and so will your kids! Easy to make & take with you for a quick snack to give you energy. I don’t know about you, but life can feel crazy busy sometimes! There are days I’m juggling work and being a mom! Some days I spend more time in my car driving kids around than I’d like to admit. Between school, church, sports, music lessons, social events, friends….. I’m lucky to get dinner on the table…and I’m a food blogger! BUT, that is why I love having healthy snacks, like No Bake Bites on hand. Long ago, we use to spend a lot of time in the drive-through…today, with a little planning, we have grab-n-go snacks in the pantry and fridge which makes life a little less crazy. Roasted chickpeas, nori strips, fruit squeeze, fresh fruit/veggies and SunButter to-go are a must to have on-hand. I win extra bonus points when I have the time to make the Go-Go Bars or these No Bake Bites. 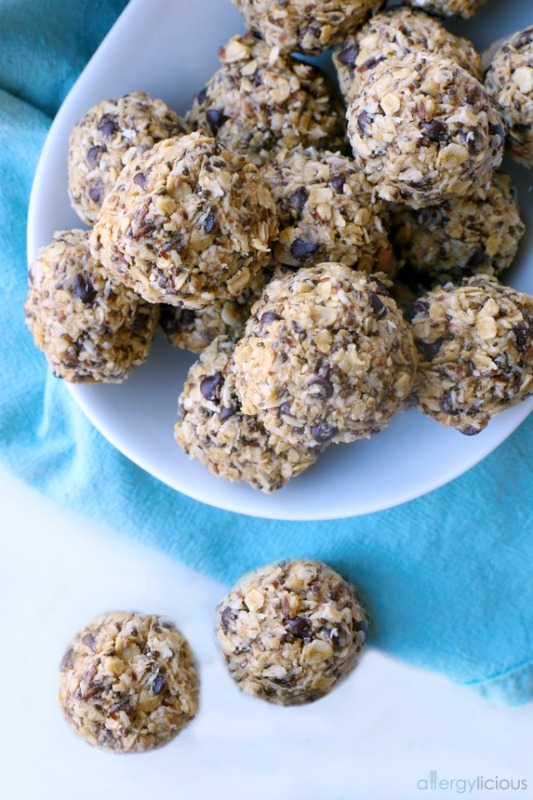 It’s one of our favorite take-along snacks because they are so easy to make, its allergy-safe, and it’s filled with good ingredients like, SunButter, Gluten Free Rolled Oats, Chia Seeds, Ground Flax, Unsweetened Natural Coconut shreds, and liquid sweetener like Agave, so it is refined sugar free. The only “non-healthy” thing in it would be the chocolate chips but you could use cacao nibs instead and it tastes just as yummy. Don’t like chocolate, replace with dried fruit or super fruit like goji or mulberries. Want to change the seed options? Go ahead and use something like hemp or sunflower. That would be delish. You can’t really mess it up…just fill it with healthy ingredients to keep you all going through the day. 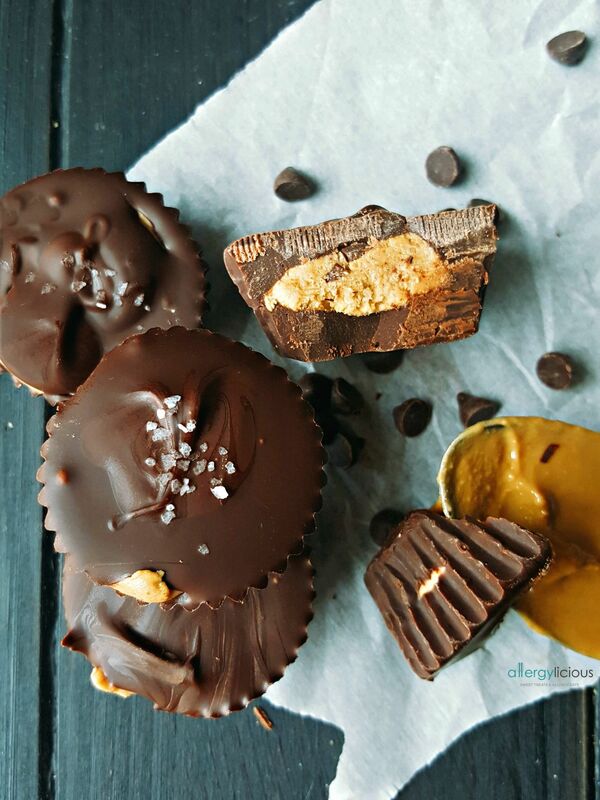 Either way, No Bake Bites are delicious and safe for those who are vegan or anyone with multiple food allergies! Next time, add these No Bake Bites to your menu and keep them on hand to make snack-time a little easier. Only Gluten-free and Allergy-free ingredients in these easy to make, kid-approved, No Bake Bites. Perfect snacks to have packed for school lunches or car rides. Mix everything together in a large mixing bowl until incorporated. *If you drizzle a little coconut oil in the measuring cup before using your liquid sweetener, it will pour out much easier. I am so glad you liked them! And you are right, much better than eating oreos for sure! You had me at no bake!! These look fantastic, so tasty and healthy!! I’m all for no bake…especially now that the weather is getting warmer. 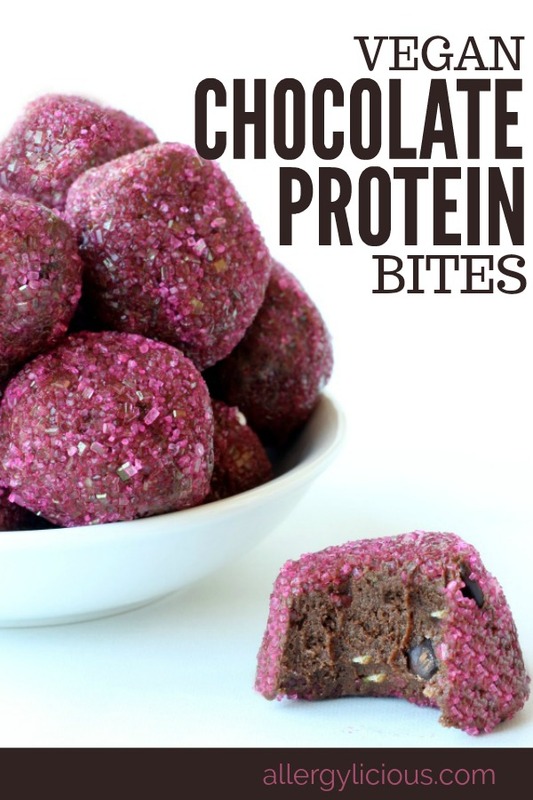 I’m crazy about protein bites and can’t wait to try these! I really need to make some bites again! There really are the best grab n go snack. These look so good! So much better than store-bought! These are so nice and simple– going on my list of things to make soon! YAY! That sounds like a delicious addition to your “to-do” list. Having healthy on the go snacks is so key! I can’t wait to make these and love that they’re no bake! Yes Jereann, healthy to-go snacks are the best. These are just the type of afternoon snack I need in my day! Yum!! The cure for afternoon blues. These are exactly the ingredients I would want to see in a bite (or bar) recipe! Total perfection. You’re so right Alisa, you can totally make a bar from these ingredients too. That’d be yummy. Oh wowzers – another delicious recipe. You just keep ’em coming. I remember the days when I lived in my car chauffeuring my kids around town. I called it my portable living room. LOL! Those bites are the perfect snack for your busy life. 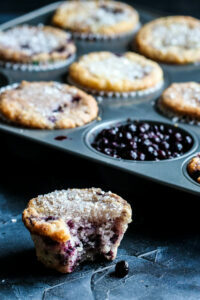 They’re also perfect for a post workout snack! Mmm, I want a couple of these with my morning coffee right now! 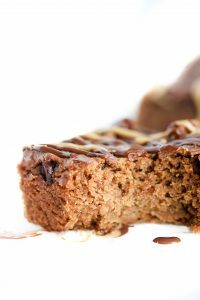 I always have at least two kinds of bites or bars available for quick snacks – these will have to be among the next batch! Oh, I love hearing they’ll be included in your bites rotation….you won’t be disappointed. 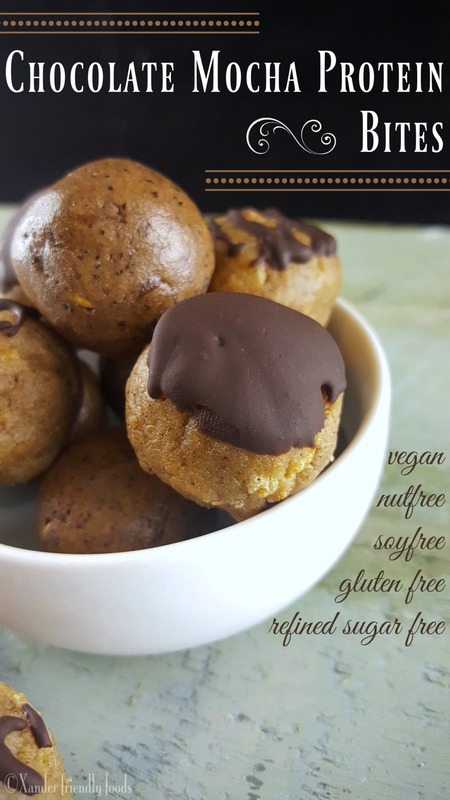 These remind me of my energy bites and have all the ingredients we love so much! 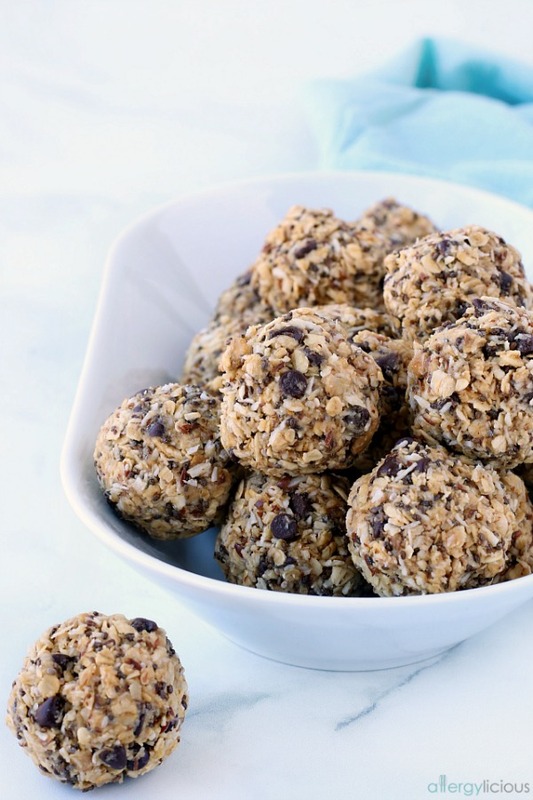 We make energy bites instead of cookies these days…and love them! Thanks for your inspiring recipe! Such classic and easy ingredients for sure! And I’m with you, we make bites more than cookies as well. Can’t beat a no-bake, healthy snack. These look fantastic Nicole!! 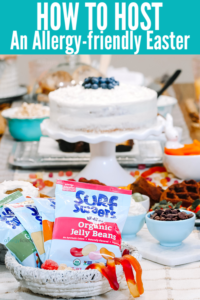 I love, love snacking on healthy bites like these and I really love that you added coconut! I’m on such a coconut kick lately! I’ve been on a bit of a coconut kick myself! Hope you get to make these soon. What a great recipe to make with the kids! We would all devour these for dessert! Oh it is so fun getting the kids involved in making these. It’ll be perfect to try this summer when they’re getting stir crazy. This recipe sounds really doable and delicious! I get in the habit of waiting too long to eat, and all of a sudden I’m famished. These no bake bites sound like a great solution for when I need something tasty in a flash. Glad to hear I am not alone…I catch myself doing that often which is when I grab a treat like this as well.